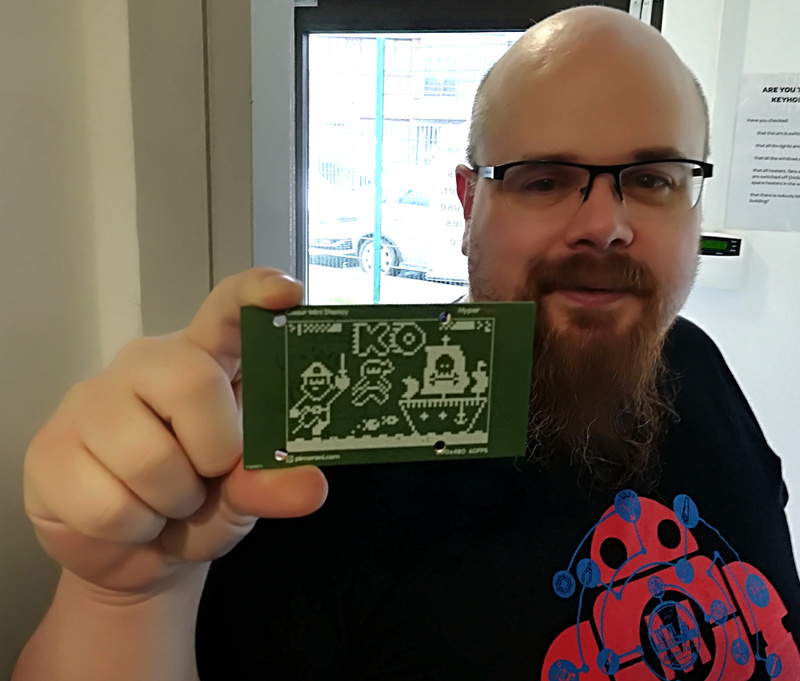 The BBC micro:bit has been with us for about eighteen months now, and while the little ARM-based board has made a name for itself in its intended market of education, we haven’t seen as much of it in our community as we might have expected. If you or a youngster in your life have a micro:bit, you may have created code for it using one of the several web-based IDEs, a graphical programming system, TypeScript, or MicroPython. But these high level languages are only part of the board’s software stack, as [Matt Warren] shows us with his detailed examination of its various layers. The top layer of the micro:bit sandwich is of course your code. This is turned into a hex file by the web-based IDE’s compiler, which you then place on your device. Interestingly only the Microsoft TypeScript IDE compiles the TypeScript into native code, while the others bundle your code up with an interpreter. Below that is the micro:bit’s hardware abstraction layer, and below that in turn is ARM’s Mbed OS layer, because the micro:bit is at heart simply another Mbed board. [Matt] goes into some detail about how the device’s memory map accommodates all these components, something essential given that there is only a paltry 16 kB of RAM in hand. 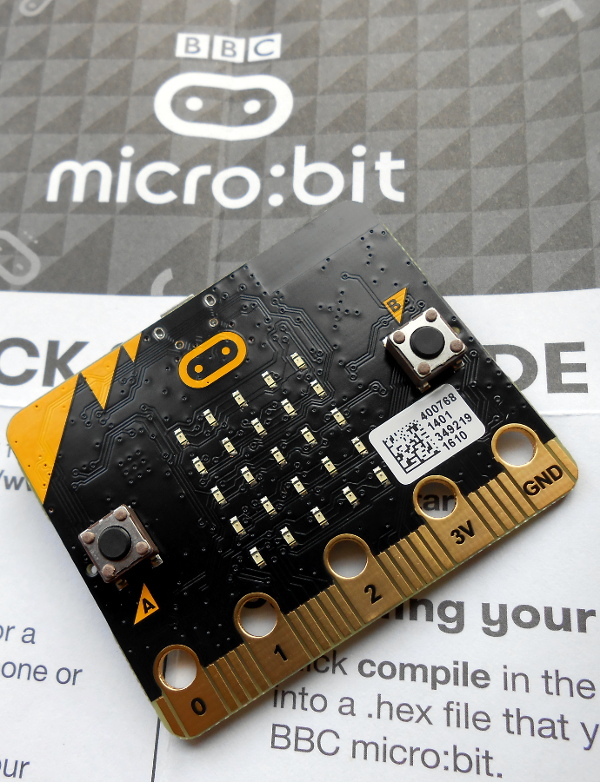 You might wish to program a micro:bit somewhat closer to the metal with the Mbed toolchain, but even if that is the case it’s still of interest to read a dissection of its official stack. Meanwhile, have a look at our review of the board, from summer 2016. It has been announced that the BBC are to pass their micro:bit educational microcontroller board on to a non-profit-making foundation which will aim to take the project to a global audience. The little ARM-based board with its range of simple on-board peripherals and easy-to-use IDEs was given to every British 13-year-old earlier this year with the aim of introducing them to coding at an early age and recapturing some of the boost that 8-bit BASIC-programmable computers gave the youngsters of the 1980s. Among the plans for the platform are its localization into European languages, as well as a hardware upgrade and an expansion into the USA and China. Most excitingly from our perspective, the platform will henceforth be open-source, offering the chance of micro:bits finding their way into other projects. To that end thay have placed a reference design in a GitHub repository. We’ve covered the micro:bit story from the start here at Hackaday, from its launch to the point at which it shipped several months late after a few deadlines had slipped. We reviewed it back in June, and found it a capable enough platform for the job it was designed to do. This is an interesting step for the little ARM board, and one that should take it from being a slightly odd niche product in one small country to the global mainstream. We can’t help however thinking that price is it’s Achilies’ heel. When it costs somewhere close to £13 in the UK, it starts to look expensive when compared to the far more capable Raspberry Pi Zero at £5 or a Chinese Arduino clone at about £2.50. Here’s hoping that economies of scale will bring it to a lower price point. Getting kids interested in programming is all the rage right now, and the UK is certainly taking pole position with its BBC micro:bit, just recently distributed to every seventh-grader in the land. Germany, proud of its education system and technological prowess, is caught playing catch-up. Until now. The Calliope Mini (translated here) is essentially a micro:bit clone, but one that has learned from the experience of its spiritual forefather — the connection points are spread around the outside of the board where the crocodile clips won’t accidentally touch each other. Not content to simply copy, the Calliope also adds additional functionality. A microphone and speaker are integrated onboard, as is a Grove-style I2C connector. They’ve even added a TI DRV8837 H-bridge motor driver, so students could make a rolling robot straight out of the box. It’s been a long wait, but our latest single board computer for review is finally here! The BBC micro:bit, given free to every seventh-grade British child, has landed at Hackaday courtesy of a friend in the world of education. It’s been a year of false starts and delays for the project, but schools started receiving shipments just before the Easter holidays, pupils should begin lessons with them any time now, and you might even be able to buy one for yourself by the time this article goes to press. It’s a rather odd proposition, to give an ARM based single board computer to coder-newbie children in the hope that they might learn something about how computers work, after all if you are used to other similar boards you might expect the learning curve involved to be rather steep. But the aim has been to position it as more of a toy than the kind of development board we might be used to, so it bears some investigation to see how much of a success that has been. Opening the package, the micro:bit kit is rather minimalist. The board itself, a short USB lead, a battery box and a pair of AAA cells, an instruction leaflet, and the board itself. 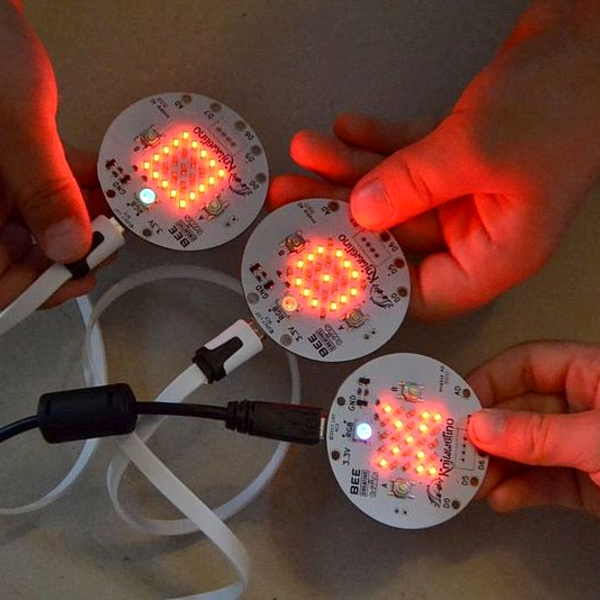 Everything is child-sized, the micro:bit is a curved-corner PCB about 50mm by 40mm. The top of the board has a 5 by 5 square LED matrix and a pair of tactile switches, while the bottom has the surface-mount processor and other components, the micro-USB and power connectors, and a reset button. Along the bottom edge of the board is a multi-way card-edge connector for the I/O lines with an ENIG finish. On the card edge connector several contacts are brought out to wide pads for crocodile clips with through-plated holes to take 4mm banana plugs, these are the ground and 3V power lines, and 3 of the I/O lines.